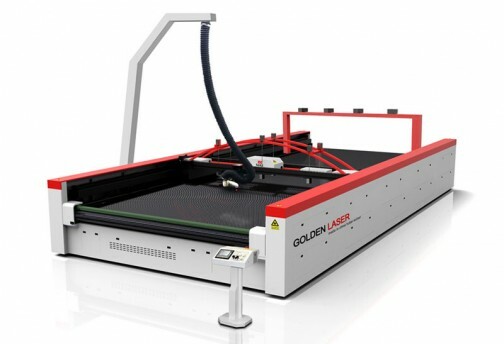 The Vision Laser Cutting System designed specifically for the digital print industry and print service providers. It delivers unparalleled capabilities for finishing wide format digitally printed or dye-sublimated textile graphics and banner, flag, soft-signage with customized cutting widths and lengths for virtually any application. Systems can be produced in width up to 3.2 meters and lengths up to 8 meters or more. The rack and pinion drive system provides for impressive cutting speed and accuracy paired to a welded-steel base.